Everything about Chion-in is on a grand scale, starting with the vast san-mon gate that serves as the official entrance to the compound. Before entering the temple, take a moment to admire the mind-bogglingly complex joinery that went into the construction of the san-mon gate. Then, step through and climb the steep steps up to the main compound (note that this staircase was used as a set in the 2003 Tom Cruise film The Last Samurai). Cross the open plaza and you’ll soon be struck by the awesome sight on the main hall of the temple (known in Japanese as the “Goei-do”). It’s free to enter this hall and we highly recommend that you do: put your shoes in a bag and enter the hall and just spend a few minutes (or hours) soaking up the chanting of the priests. 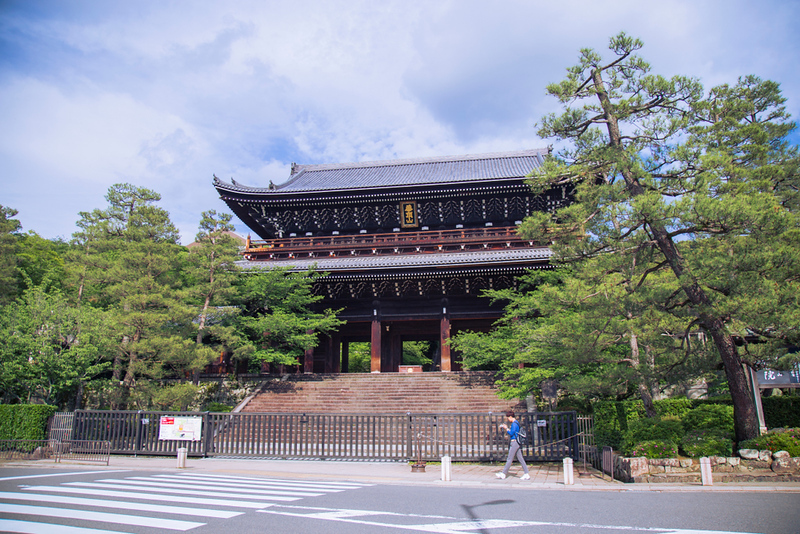 After this, don’t miss the fine image of Amida Buddha in the adjoining Amida-do Hall then climb the steps to see the temple’s 70-ton bell which is rung on New Year’s Eve. Please note that the main hall of Chion-in Temple is presently being renovated. Construction finishes in March 2019. However, the temple is still well worth a visit and you can visit all areas except those under construction. 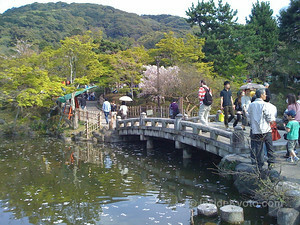 :: Check availability and pricing for hotels near to Chion-in Temple on Booking.com or Agoda.com. Chion-in Temple is located in Kyoto’s Southern Higashiyama district. See our complete list of things to do in Southern Higashiyama, including places to eat, nightlife and places to stay.